Hawaii's milk industry has new price rules after the state's only processor, Meadow Gold, privately warned that it would quit buying milk from local dairies as of Thursday unless it could pay less than what regulators permitted. The state Board of Agriculture voted 7-0 at an emergency meeting Monday to amend state Department of Agriculture rules governing wholesale prices paid to Hawaii farmers for fresh milk. Star-Advertiser. 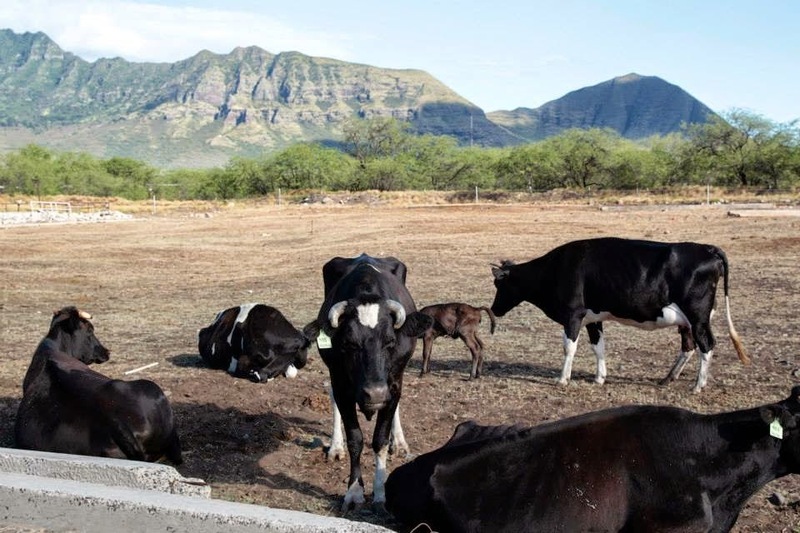 Hawaii’s only milk processor has convinced a regulatory board to relax a price floor for locally produced milk to help the company compete with mainland imports. But one dairy producer is afraid that the decision will put him out of business. Civil Beat. Less than two months after winning election as a Republican in a traditionally Republican district, Rep. Aaron Ling Johanson on Monday announced his switch to the Democratic Party in a move he maintains will allow him to seek common ground and best policies over partisan politics. Star-Advertiser. Republicans, voters react to losing Rep. Aaron Johanson to Democrats. Rep. Aaron Johanson defects to Democratic Party. KITV4. Hawaii’s troubled health insurance exchange needs state taxpayers to shore up an estimated $2.5 million deficit next year. Hawaii Health Connector CEO Jeff Kissell, who just took over the state-created nonprofit in October, told a legislative oversight committee Monday that the state appropriation should be viewed as an investment that will produce $500 million in federal tax subsidies within the next decade. Civil Beat. Governor David Ige has appointed Catherine Awakuni Colón to serve as director of the Department of Commerce and Consumer Affairs. Hawaii Independent. The University of Hawaii has installed a new high performing computing system produced by American supercomputer manufacturer Cray Inc., and is inviting researchers to start working with it. Pacific Business News. Obama golf game forces Army couple to move wedding. Associated Press. The widespread proliferation of mostly illegal vacation rentals on Oahu is pitting neighbor against neighbor, highlighting the city of Honolulu's inability to enforce its own laws, and likely leaving millions of tax dollars uncollected. Star-Advertiser. Opinion: It’s hard to put a positive spin on a shortfall of up to $700 million shortfall, but Honolulu Mayor Kirk Caldwell and top officials from the Honolulu Authority for Rapid Transportation sure tried when publicly announcing the bad news that now hangs over the city’s $5.2 billion rail project. Civil Beat. Rising property taxes a concern for Oahu home owners. KHON2. What to do About Chinatown’s Stinking Streets. Merchants are frustrated with the homeless, but a little help is on the way with plans to open a public restroom and shower facility next month. Civil Beat. A new survey reveals the needs and concerns of Puna-area residents as they continue to wrestle with a threatening lava flow. Tribune-Herald. Air quality, lost business and access to basic needs are among the top concerns of about 800 Hawaii island residents contending with a lava flow inching toward Pahoa's main highway. Star-Advertiser. Individuals will no longer have to provide “competent, efficient, loyal and ethical service to the public” to qualify for employment with Hawaii County. Instead, people will be hired based on their “fitness and ability for public employment,” and be retained based on their “demonstrated appropriate conduct and productive performance.” West Hawaii Today. The National Park Service says a nesting nene was killed by a car at Haleakala National Park. The endangered Hawaiian goose was killed Friday. Associated Press. With his lawyer saying a man was trying to be a good Samaritan when he punched a suspected shoplifter in Lahaina last year, the defendant was spared a jail term and was given a chance to keep an assault conviction off his record. Maui News. So far, Kauai seems to be escaping an alarming trend happening across the islands. Scammers who fraudulently advertise Hawaii rental properties have ripped off hundreds if not thousands of visitors to the state, according to Honolulu police, who say it’s difficult to prosecute the con artists because most of them operate out of state. Associated Press.